It has only been fairly recent that I got to keep my own room! 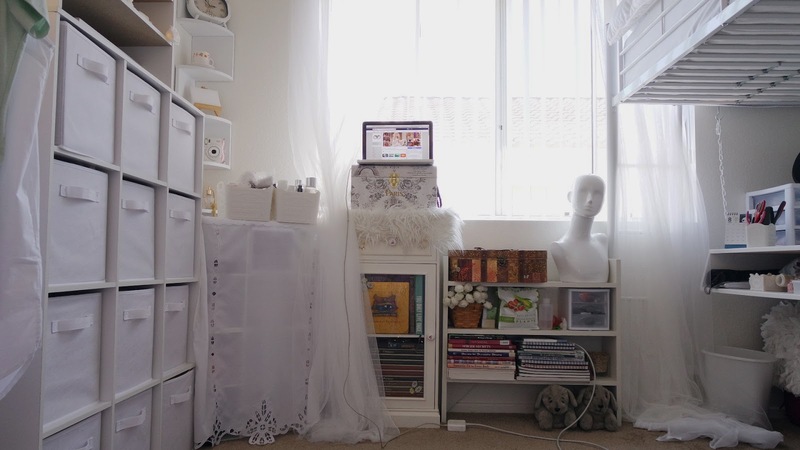 As it was my first time having my very own space, I decided I would arrange it in such a way that I had everything that I needed in it. 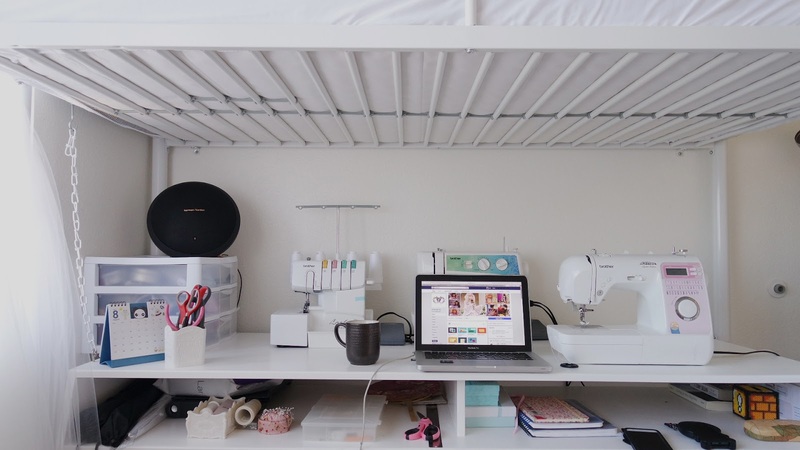 With some planning, and the help of my ever handy Dad, I was able to turn my bedroom into my workroom, both for sewing and shooting photos and videos. 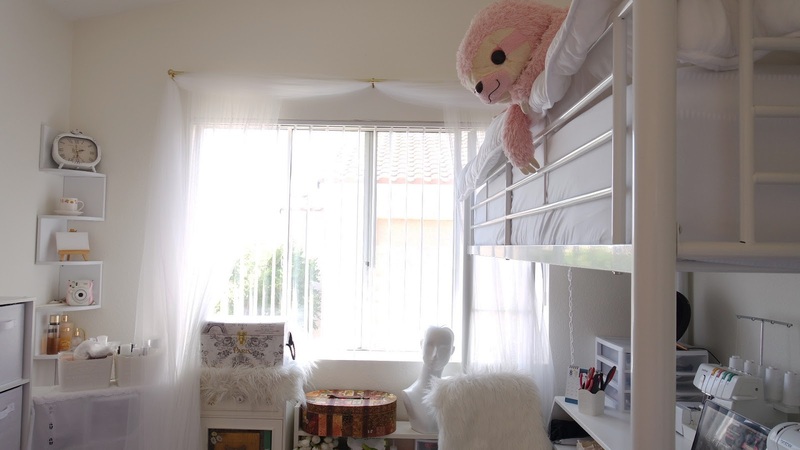 As you could see, Momoki my sloth, sits comfortably on my loft bed, which doubles as the sewing area below. My Dad built the floating shelf in one day. It gave me more room to sew and store my things. Early on I made the decision that I would make my room mostly white. 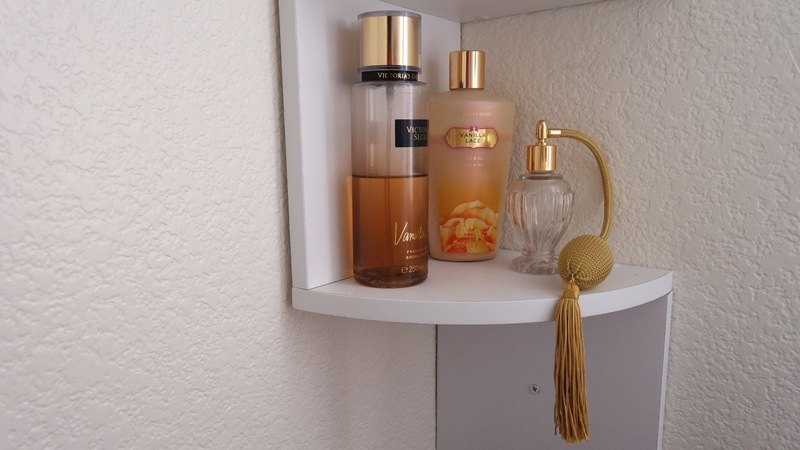 I wanted it to look spacious, and also remain complementary to my colorful dresses. That was why I fell in love with white curtains. 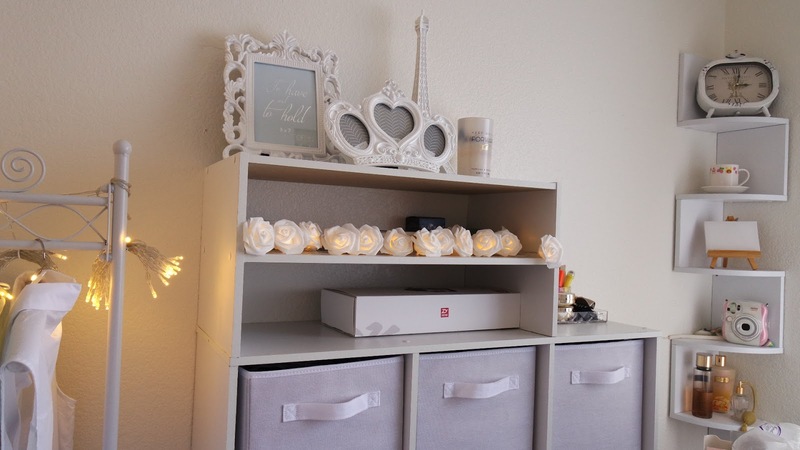 With them it became easy to dress up a room, make it look airy and elegant. Thankfully I did not need black out curtains since the lighting from the windows was soft, even in summer time. I am not quite done yet with the decor but I maintained my theme by adding white frames and figurines, which I got for a discounted price at Ross. All the shelves, however, were from Amazon. But I saved up because I had my Dad assemble and install them. Since I was on a budget, I had to make sure and measure which shelves could fit where. To be honest, it was all a month's time of organizing and planning. And I am still not done... I guess room decorating is just never ending! The cube organizer shelves are functional, but I could not resist having a corner shelf installed, even if it meant it could only accommodate a few items. 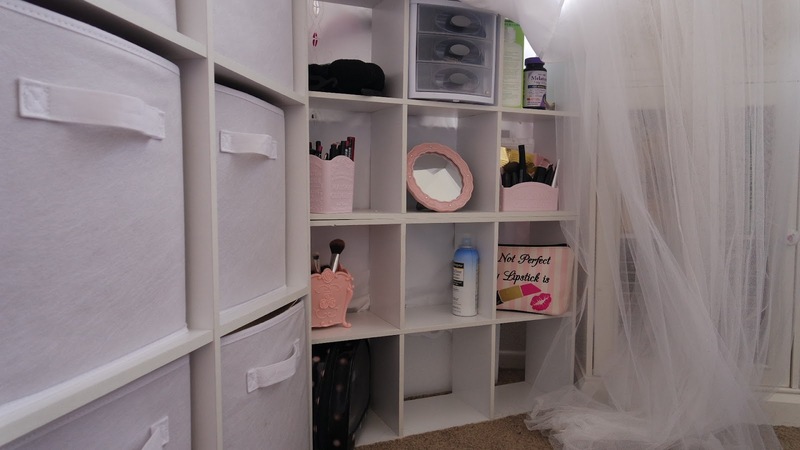 I think it is a really clever way to make use of space. Additionally, I am able to keep a few of my favorite things on display. 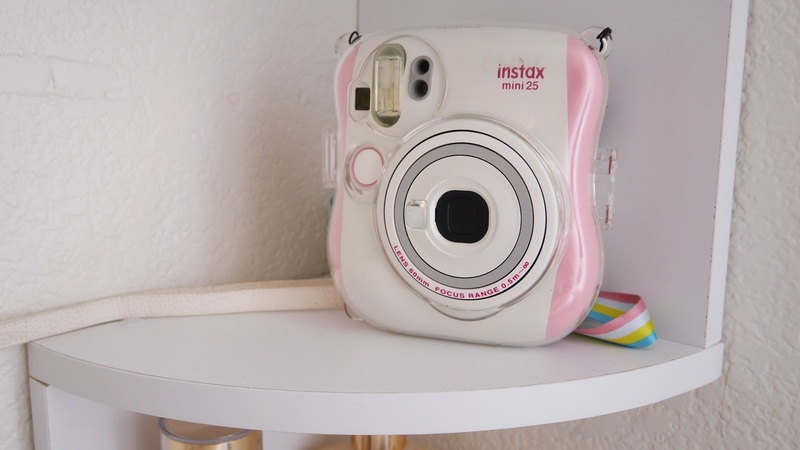 The pink Instax is from my favorite person, while the vintage perfume bottle was an impulse buy that went well with my favorite scent set! 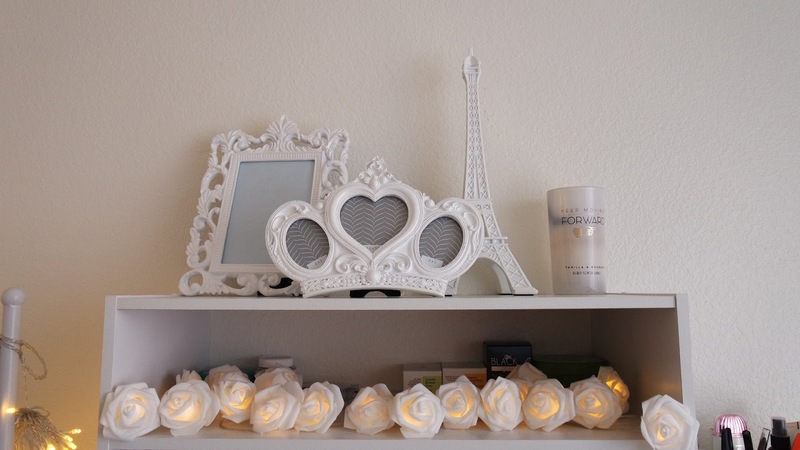 If you were in my room right now, you would think you were in a bakery as I often light up my vanilla-scented candle. 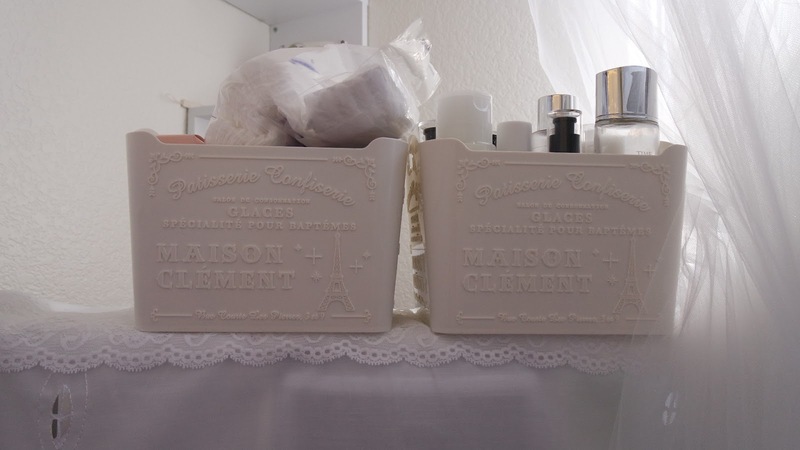 Going back to the organizer, it is where I keep most of my trims. I say most because the rest of my sewing stash had to be placed in the storage room. 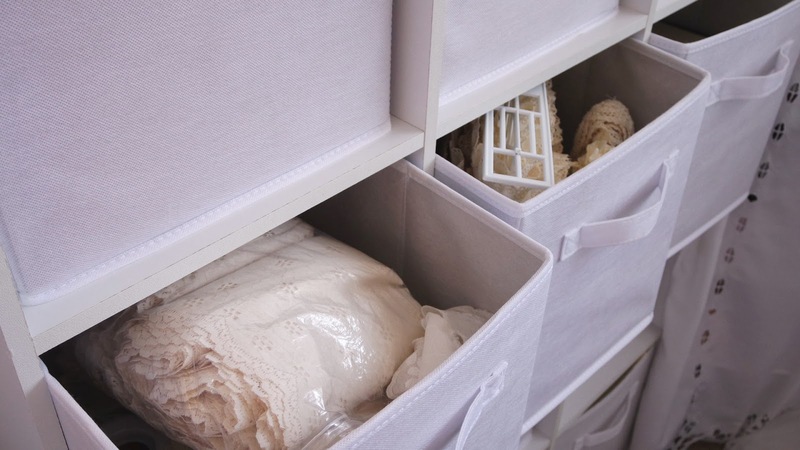 For my workroom, I picked out my favorite trims, along with my favorite fabrics. 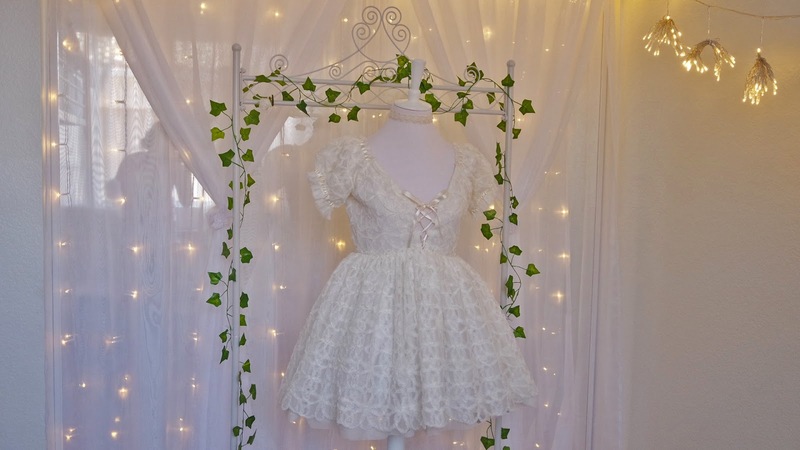 This way I could easily whip up a dress since everything else was easily available. 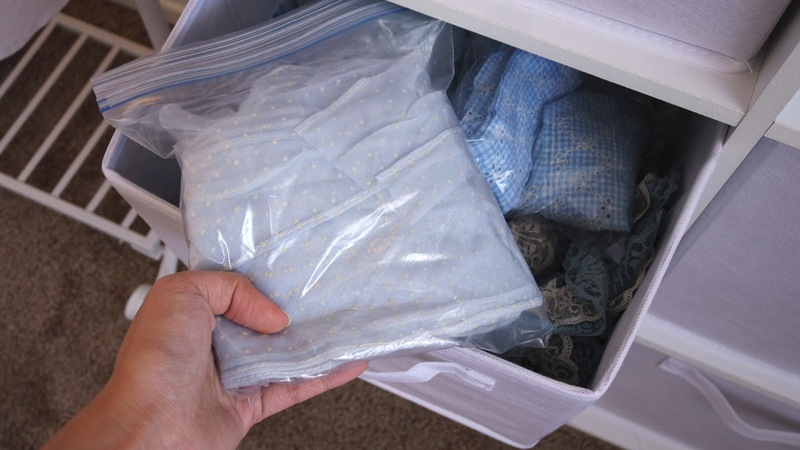 Speaking of fabric, I have found it to be the most convenient way to keep things organized, or perhaps I should say, hidden? 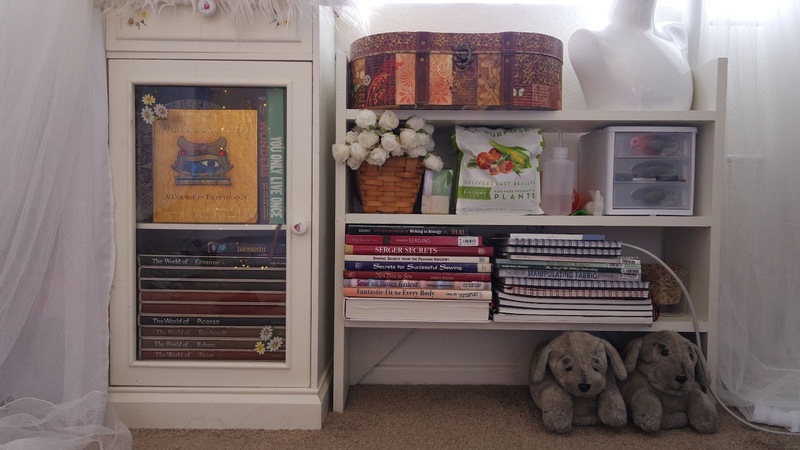 Apart from the corner shelf, I had a "hidden" cubicle assembled between the organizer shelves and night stand turned bookcase. 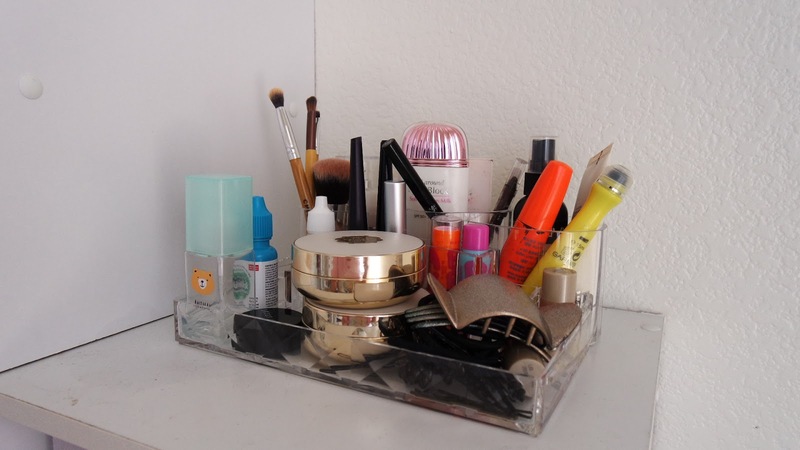 The cubicle is where I keep some of my make up, skin care, and other beauty-related items. 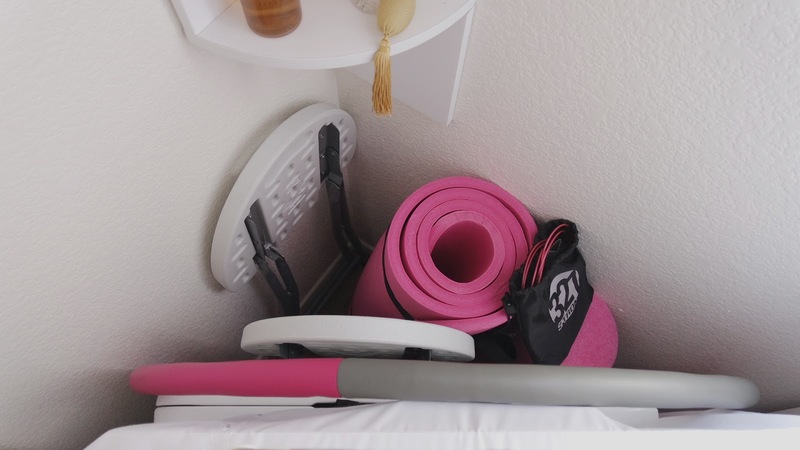 And behind it are my workout items: hula hoop, yoga mat, and jumping rope. 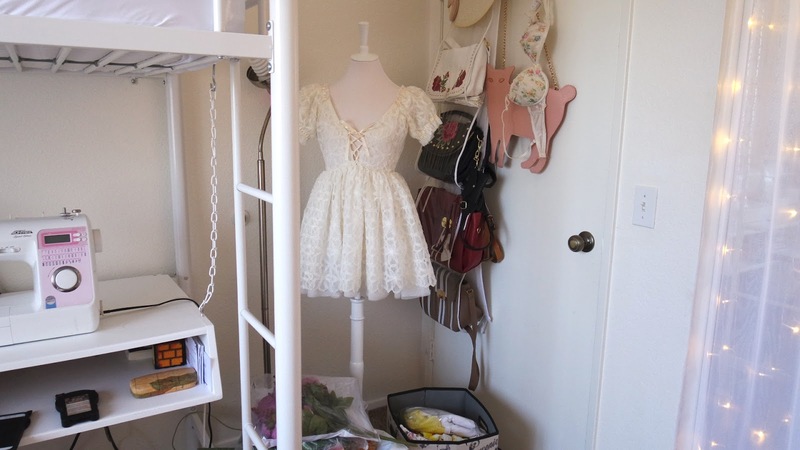 Additionally, the space behind it is also where I store my "portable work station", the folding table and chairs, which I use for crafting and shooting videos. And everything is concealed by this unassuming white fabric! Most of the books I own are from when I still lived in the Philippines. The Egyptology book is something I have kept for more than 10 years now! And Wonders and YOLO were gifts from my favorite person. The book collection on painters was indirectly handed down to me by a lady I never met back in 2011. She was the patient of an aunt who then worked as a caregiver. The books were about to be given away to Goodwill after her death but I volunteered to keep them. When we moved apartments, they were one of the heaviest things to carry but I just could not abandon books, even if I have already read them countless of times. I feel like apart from the knowledge imprinted on them, old books have the memories of their previous owners. If you know me, then you would know how much I love horror movies, hauntings, and histories. For work-related reading, I mostly collect books on sewing. The one on manipulating fabric is a favorite. 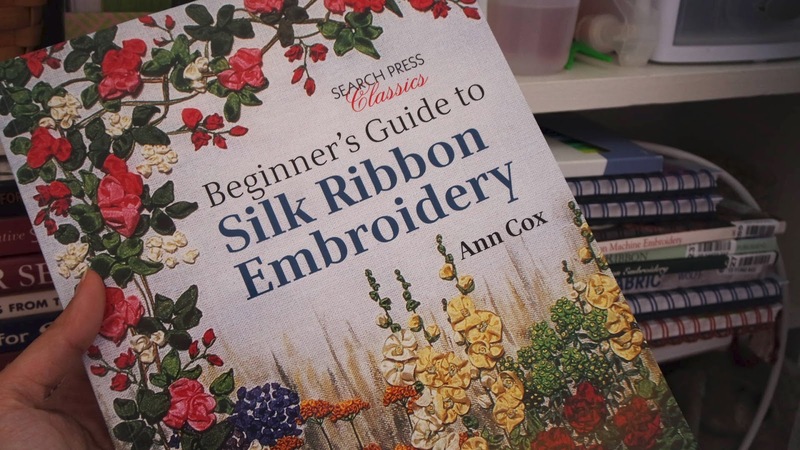 I first borrowed it from the community college library about 6 years ago, and chanced upon it when I shopped for silk ribbon embroidery books on Thriftbooks just this July. Lately I have been browsing The Artful Ribbon for inspiration. And yes I keep fertilizer in my room! The rack used to contain my mini African violets but I had to move them to the North facing window for better sunlight. I decided to keep my other mini gardening tools though, just so I won't misplace them. I cannot stress how much I love sheer curtains and scarf valances. Even if I already own a lot of them, and all in white, I could not resist buying... But only when they are on sale! 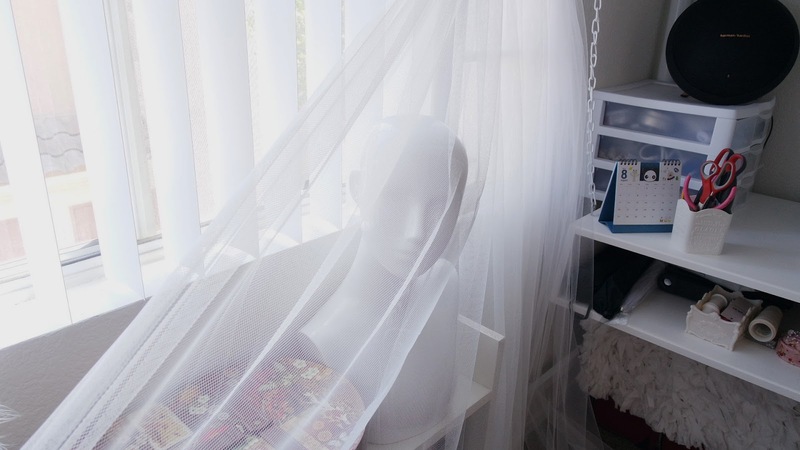 My sewing area has been pretty clean as of late since I have not formally started a project yet. 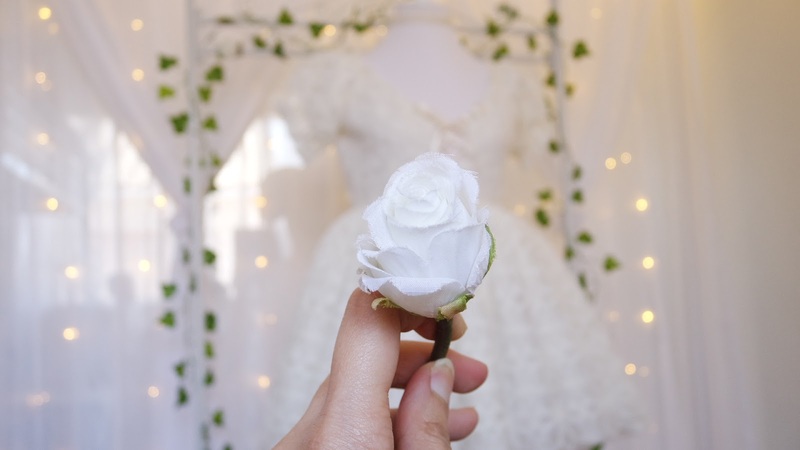 Right now I am working on cataloguing my finished dresses, especially since I have been able to build a nice backdrop for photo and video shoots. I have often posted about this on my Instagram story but I just love my fairy lights curtains. 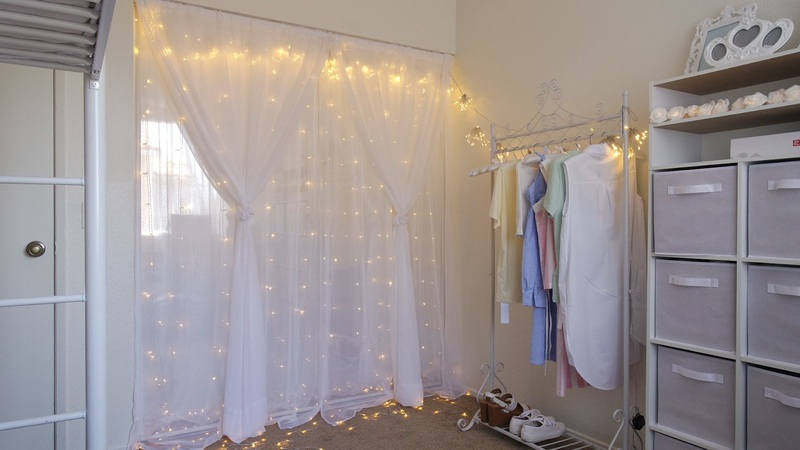 I combined two different textured curtains and sewed the fairy lights between them. I used a tension rod to prop the curtains on top and in front of my closet. 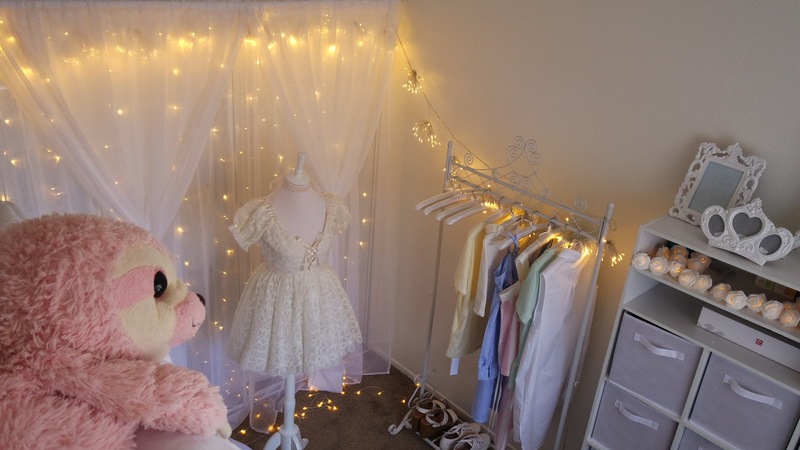 It has been convenient how I could part the curtains and use the mirrored sliding doors, but I prefer to look at my backdrop of clouds and stars! Today I decided to shoot one of my dresses, Gossamer Garden, against a larme-inspired setting! 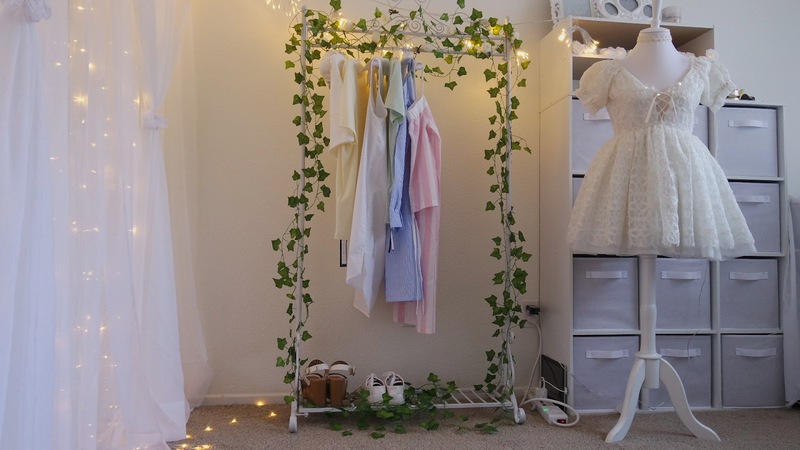 Here is Momoki's view from our loft bed, as I prepped to decorate the clothes rack with this artificial greenery! Aside from white curtains, I have a huge weakness for nature and floral-inspired decor. 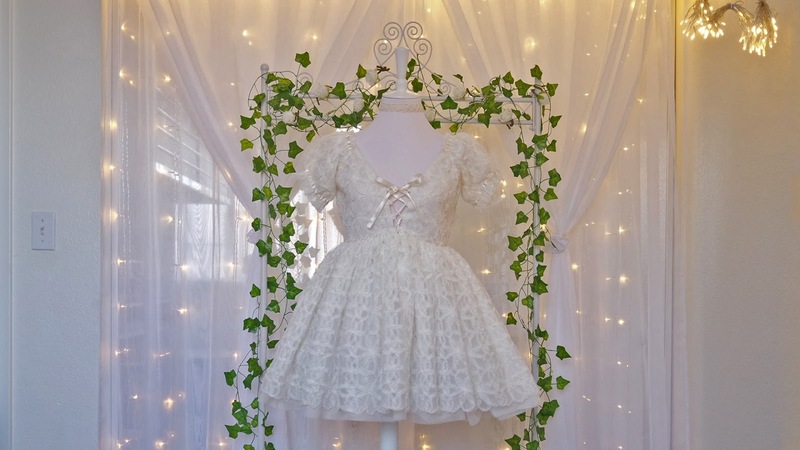 I finished photographing the dress today, but I have already made plans for an autumn themed backdrop. 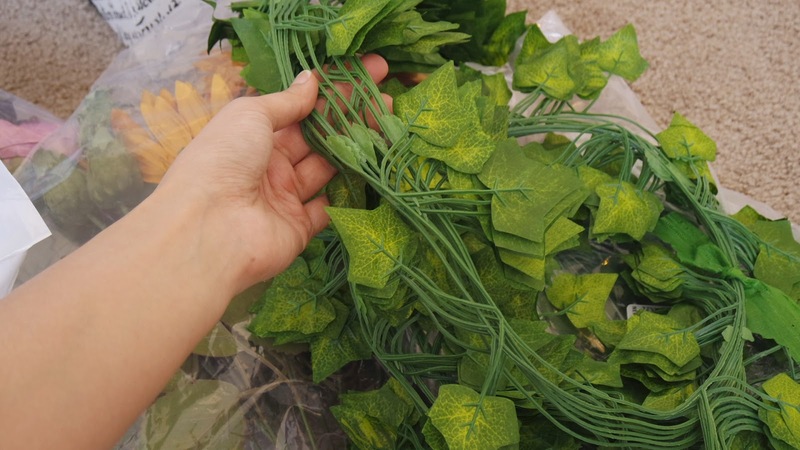 Meanwhile I think I will keep my fake ivy vines as they add a soothing pop of green in my white room.